The 2018 Honda Accord Hybrid offers a fantastic, well-loved sedan as a super-efficient hybrid version. Its Accord platform gives you a smooth ride, great handling, a spacious interior, and lots of features. The Hybrid model is available as an alternate powertrain on most of the new Honda Accord trims, giving you plenty of options to find the perfect Accord sedan for you. The 2018 Honda Accord Hybrid offers all the perks of the standard Accord, but it also offers incredible fuel efficiency with its cutting-edge hybrid technology. This well-loved sedan design is newly updated and offers a sleek, sophisticated look. It comes with all kinds of technology features on the inside, too, in order to make the cabin more comfortable and convenient for you. This hybrid is a great vehicle whether you need a daily commuter car or a family vehicle for trips. Its new exterior appearance is inspired by fastback designs, giving it a sleek and aerodynamic look. The E-CVT transmission features a Sport Mode for an extra thrilling driving experience. It’s also packed with active aerodynamics like grille shutters and air curtains to help get the most out of your mileage. With a comfortable, plush interior with space for five, the 2018 Honda Accord Hybrid can take you anywhere to road leads. The 2018 Honda Accord Hybrid is loaded with standard and available features that make your drive pleasant and easy. A full-color seven-inch Driver Interface lets you customize your digital in-dash display. It makes it easy to check on the information you need as you drive along. The Accord Hybrid also offers 12-way power-adjustable seating and two savable seat positions, to make sure you are comfortable and commanding in the driver’s position. You passengers will also be comfortable and entertained in the 2018 Honda Accord Hybrid. The dual-zone automatic climate control is now standard on all Accord models, with color-changing backlit knobs for a sophisticated, artsy touch. There’s flexible 60/40 split-folding rear seating for when you need to accommodate some cargo as well as passengers. All-season floor mats help protect your Accord Hybrid’s carpets from the mud, slush, and dirt that comes with everyday life. There are also little conveniences like the versatile center console storage compartment or the trunk drawer in the back that keep your possessions neat and organized. Other performance features make this Accord Hybrid smooth and confident no matter the road. Honda’s adaptive damper system controls the suspension system so that you have a quiet and comfortable ride over rough roads. The 2018 Honda Accord Hybrid also features Smart Entry, Push Button Start, and Auto High-Beam Headlights for ease and safety. The 2018 Honda Accord Hybrid has an innovative two-motor hybrid system to power this sleek sedan. The Eco Assist System gives you optimal fuel efficiency. Paired with the E-CVT automatic transmission, the Accord Hybrid boasts an EPA rating for 47 MPG** both on the highway and in the city. With this powertrain, the Accord Hybrid received an EPA rating for over 600 miles***, so you can power on miles after mile. This new model has also been refined and restyled for better agility and handling. The 2018 Honda Accord Hybrid is tranquil and composed for everyday driving, but it also has a playful side. With a responsive chassis, perfectly balanced damping, and a sense of harmony with the controls, the Accord Hybrid is ready for a chance to shine. It’s also exquisitely crafted to protect the cabin from noise and bumps, even when you’re having fun. The 2018 Honda Accord Hybrid boasts amazing impact absorption and a tranquil cabin that make it a natural choice on any drive. The 2018 Honda Accord Hybrid also saw lots of upgrades to the interior. It offers seating for five, and with ample headroom and legroom in both the front and the rear, you really can take family and friends out on the town. The new, longer wheelbase means that the rear legroom is not only satisfying but generous. The Accord Hybrid also keeps you toasty or cool with heated and ventilated seating. On select trims, there’s even heated rear outboard seating, so your rear passengers will be kept warm as well. With the 2018 model, Honda focused on blending the Accord’s past simplicity with modern sophistication. The result is a beautifully minimalist instrument panel that gives the driver crisp, clear information. The materials Honda used in the cabin are premium quality and put together with care and attention to detail. The Accord Hybrid EX-L trim’s leather appointments are soft and durable. There’s also smooth, tasteful faux-wood trim decorating the cabin. The infotainment center has also seen an upgrade for the 2018 year. The Accord Hybrid’s new interface is clean and easy to use, with a combination of touchscreen and physical controls. A seven-inch screen comes standard, while an eight-inch screen is available. The menu remains configurable, so you can move the apps and buttons you use most to the front. Once you’re all set up, using the infotainment is quick and intuitive. The 2018 Honda Accord Hybrid comes packed with standard safety features. It offers Vehicle Stability Assist with the traction control, as well as electronic brake distribution and ABS. Each new Accord Hybrid also has a multi-angle rearview camera with dynamic guidelines, daytime running lights, and more. There’s also a tire pressure monitoring system, seat-belt reminders, and child-proof rear door locks. Multiple standard airbags and Honda’s ACE body structure help keep you safe in the event of a crash. 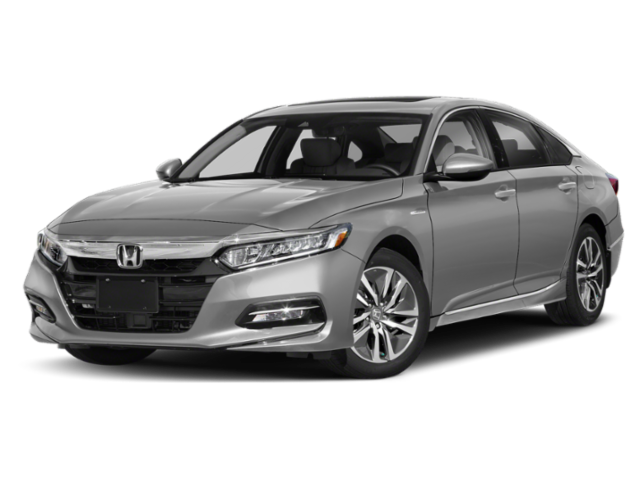 Each 2018 Honda Accord Hybrid now comes with the Honda Sensing safety suite as standard equipment, as well. Honda Sensing is a suite of advanced safety and driver assist features that helps keep you and your passengers safe on the road. The 2018 Honda Accord Hybrid gives you a forward collision warning feature and a lane departure warning. If the warnings don’t fully avoid an accident, Honda Sensing also has collision mitigation braking and road departure mitigation. To make your drive easier, Honda Sensing also has Lane Keep Assist, Adaptive Cruise Control with Low-Speed Follow, and Traffic Sign Recognition. Although the driver must remain aware and responsible at all times, Honda Sensing makes your task easier and your drive safer. The 2018 Honda Accord Hybrid is available as any Accord trim except for the Accord Sport. The Accord Hybrid is available as an entry-level model with standard Honda Sensing, Dual-Zone Automatic Climate Control, a Multi-Angle Rearview Camera, and more. The EX trim also offers smartphone integration, a one-touch power moonroof, heated front seats, and a Blind Spot Information System. The Accord Hybrid EX-L includes a leather interior and a few more luxury features like driver seat memory and an upgraded audio system. The top-of-the-line Touring Hybrid model includes even more luxury features, like ventilated front seats and wireless phone charging. 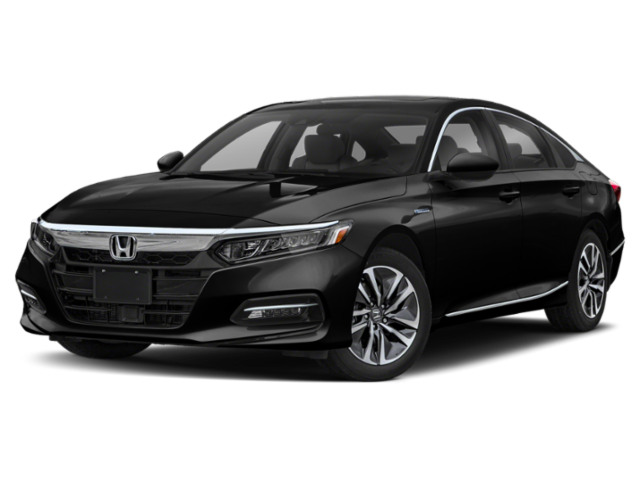 Need help choosing the right 2018 Honda Accord Hybrid? If you think this all-new, all-around great 2018 Honda Accord Hybrid is right for you, stop by and check one out! We have a great selection of Accord Hybrids for you to choose from, loaded up with features you’ll love. Check out our inventory online to see which trims, colors, and options we have in stock. If you have any questions, feel free to give us a call or stop by in person! If you buy a new 2018 Honda Accord Hybrid from us, you’ll be eligible for our Buerkle Rewards Plus program. This program is no additional cost to you and will give you access to 5% back on service and parts purchases, a 3-day, 300-mile exchange policy, 2 free oil changes, and much more. So come and see us soon at our dealership here in St. Paul, MN.